Cob building, which uses earth, generally subsoil, mixed with straw and water and possibly clay and sand to construct walls is one of the most sustainable ways of building in terms of materials and embodied energythe total amount of energy it takes to make a material (or a building). See more on embodied energy. At the end of the building’s life the materials are easily biodegradable. Cob is extremely cheap and can be employed very creatively in terms of sculptural effects. Over seventy thousand houses in the south west of England have been built in this way and many of those have endured for several hundred years. The tradition goes back about a thousand years in the UK. There is no problem in building up to two storeys and the key to preserving the material against rain is to have the cob wall rendered or harled on the outside and resting on a masonry plinth wall. A good overhang to the roof is also useful. However it is no coincidence that most of the cob houses in the UK are in the milder south west. 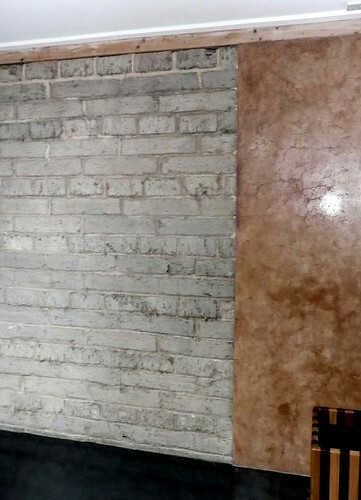 Although cob walls are normally 50 to 75 cm. thick they have very little insulating value (conductivity varying between about 0.4 to 0.5 W/mK. 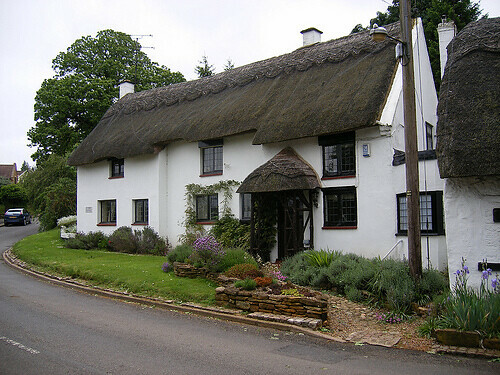 see The thermal properties of cob buildings of Devon). Without a great deal of insulation the house would require a huge amount of heating for 6 months of the year in most areas in the UK. Assuming that around 250mm of insulation would need to be added to a wall to bring it up to PassivHausSee more on the Passivhaus standard. The PassivHaus Institute has pioneered a standard for low energy buildings. It includes very low energy usage and ways of achieving this. The word is derived from the idea of buildings which are fundamentally low energy and passive solar heated rather than using extra gadgets to heat them. See Passivhaus for the UK branch of the organisation. standards then this results in an enormously thick wall of 750 to 1000 mm which produces window openings so deep that there is a very restricted view and a serious reduction of light. This also represents a considerable waste of space where land values and building densities are high. On this basis it is difficult to see how cob, no matter how cute or traditional it may be, could be considered an ecological building material (for a heated building) except for its low embodied energy. On the other hand, unburnt bricks or blocks, which can utilize similar materials, may be a useful alternative to normal bricks. This could particularly apply to internal walls where there is no risk of damage from moisture and where a hygroscopic high thermal massthis is about how much heat something can absorb - so it involves its specific heat capacity and its volume. It can be useful for levelling out the peaks and troughs of temperature within a house. See the page on thermal mass is required to stabilize air humidity and temperature. The company Mud and Wood offer courses in cob building, along with information on other building techniques for natural materials. I’m a student studying at Camberwell College. I was wondering if there are any courses or workshops available this month in cob building. This would greatly help me in my final project to be submitted in April.